About: Composed in Atkinson, Nebraska (my hometown) on August 3, 2001. 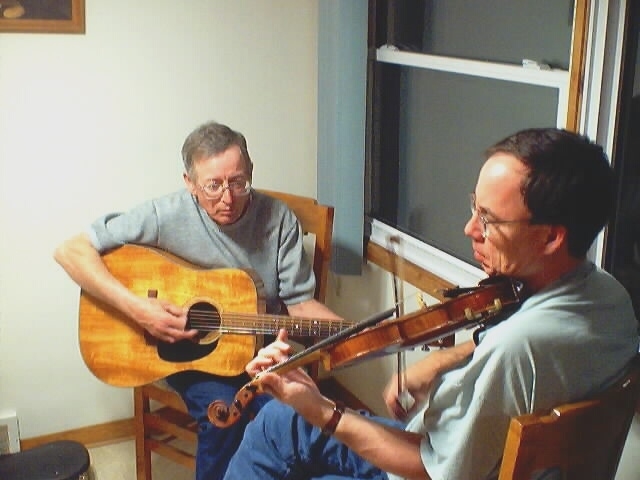 I was playing tunes with Jay Kelly in Wes and Helen Slaymaker's kitchen. I happened to strum the first four chords on the guitar, and liked the sound. So I gave the guitar to Jay and picked up the fiddle and started to play. The tune was mostly there the first time through. 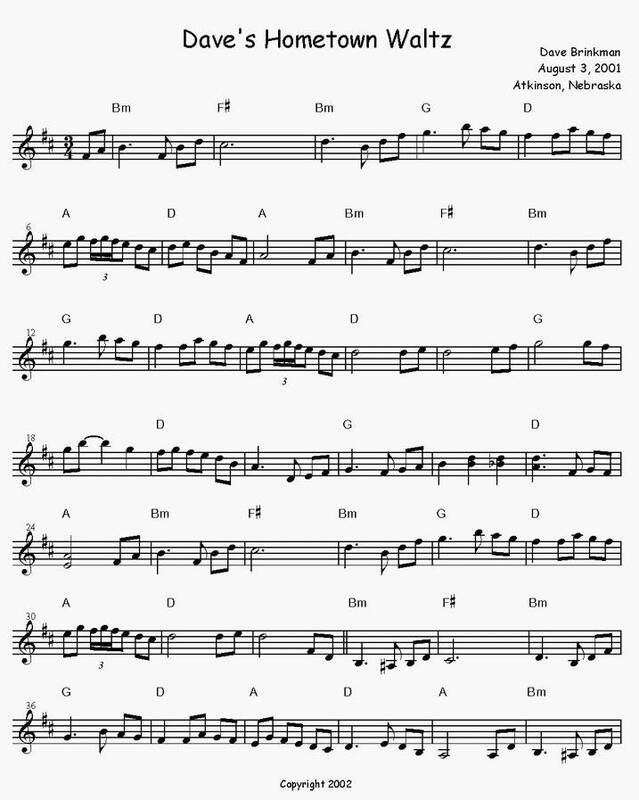 This was first performed in public by Kathy Kirlin at the Casper Fiddle Contest in August 2001.